Dearies, let's start this short week with a fun and easy (early) fall project, shall we? 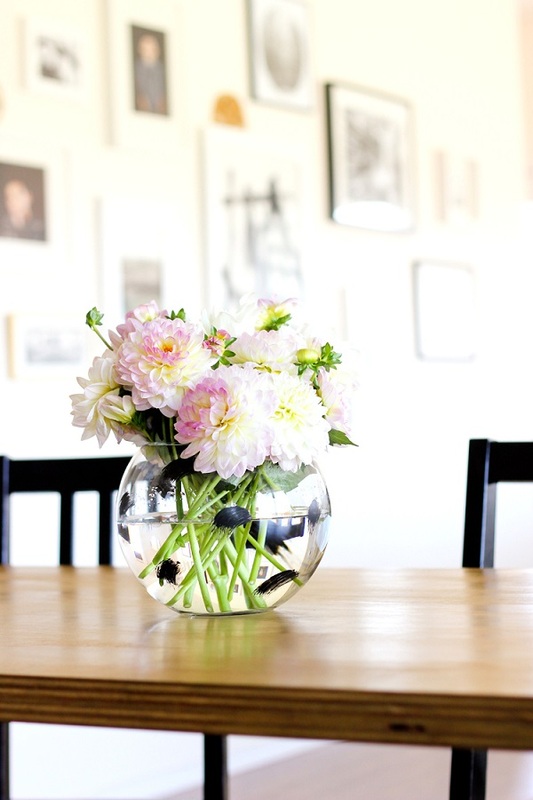 Now that the dahlia season is in full swing, how about getting one of those simple glass vases and jazzing it up with some funky swooshes! 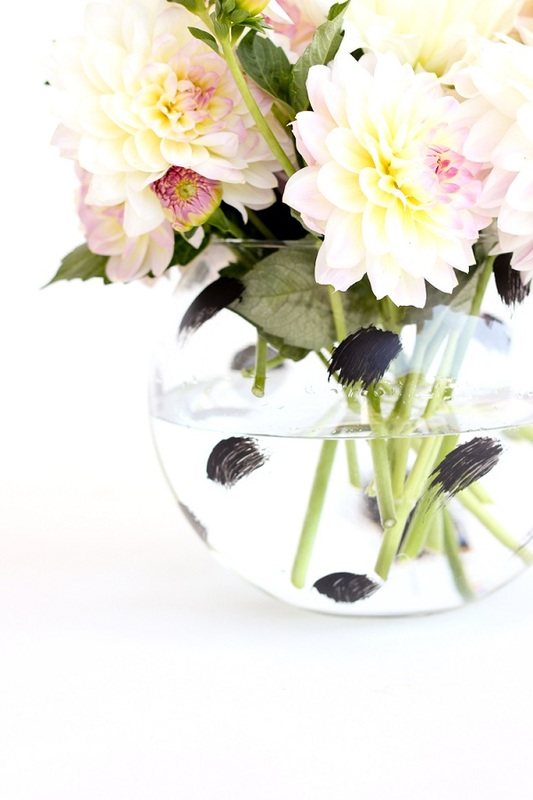 I love how just a touch of glass craft paint can make even the simplest vase look unique and fun. Here is the full how-to if you feeling crafty! P.S: Don't forget this nifty tip too.